In our latest Learn To Play lesson, Ryan Knight, teacher of sweet riffs and lead guitarist of the Black Dahlia Murder, stopped by the Reverb studio to drop some knowledge regarding minor 7th arpeggios. Although these arpeggiated speed runs lend themselves particularly well to melodic metal, they can be used for virtually any genre and provide a fantastic roadmap to navigate your fretboard and learn your minor pentatonic scales. Ryan walks us through an Am7 arpeggio in five different positions on the fretboard, demonstrating how they align with similar minor pentatonic scales. He then shows us some minor 7th speed runs, playing Am7-based licks both at lightning speed and slowed down so you can learn them for yourself. 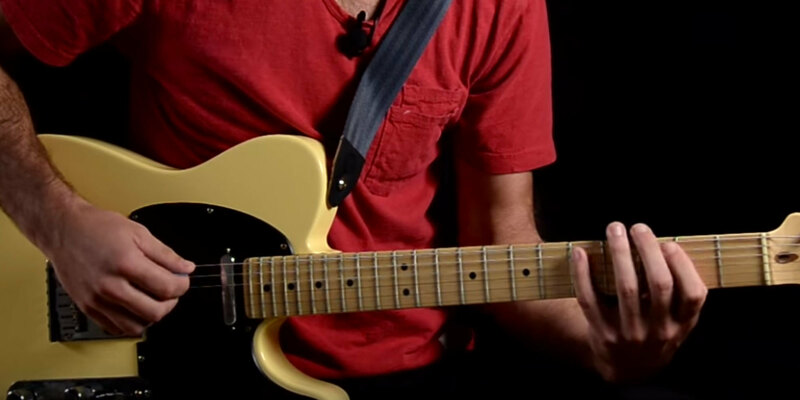 Check out more Learn To Play videos for in-depth lessons on music theory, exercises, and songs on our Learn To Play page. Learn how to play arpeggiations using major, minor, and seventh chords.